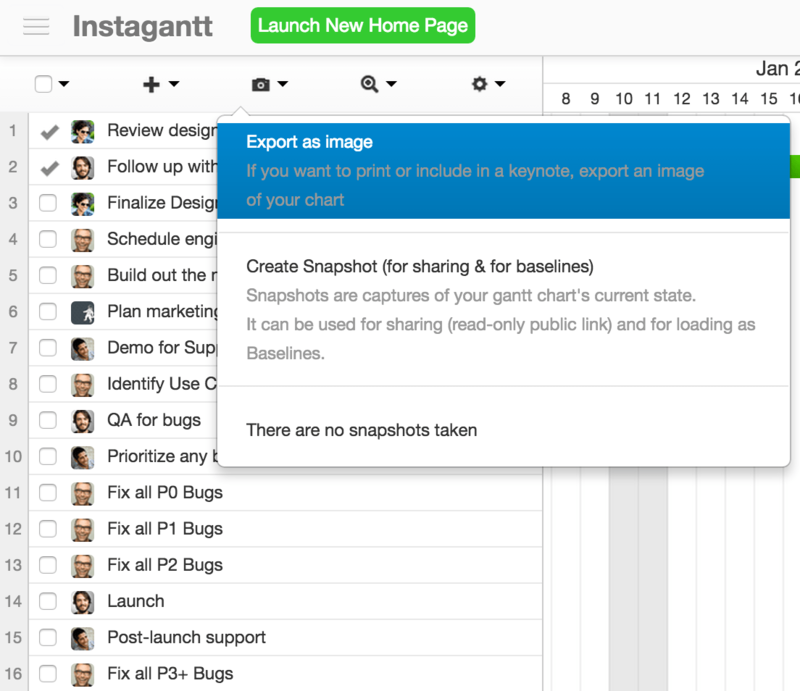 Instagantt is a web app that creates Gantt charts to help you visually plan projects and schedule tasks with your team. 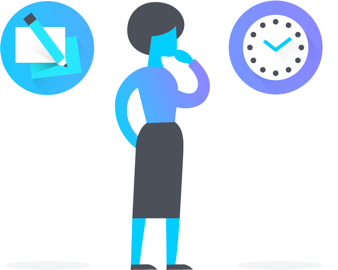 You can create start dates, set a progress percentage, and link tasks. 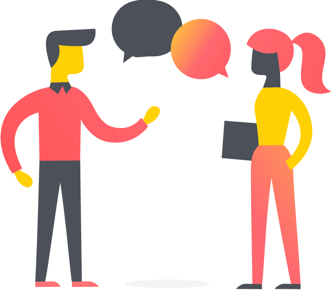 You can create a group of up to 10 projects from different Workspaces and Organizations. Within a group, you can order tasks by project and by section within those projects. 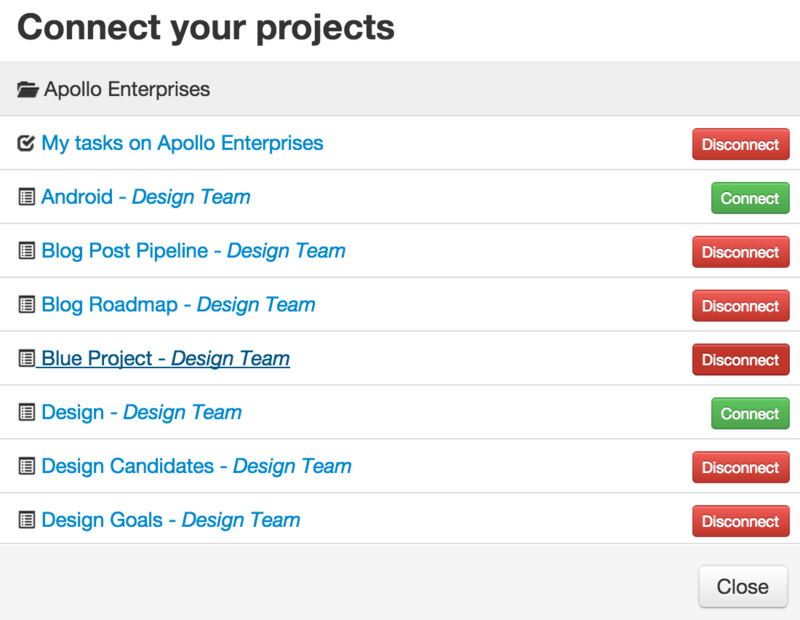 You can remove any synced projects from Asana if you no longer want them to appear in Instagantt. The projects you’ve synced will be sorted by Workspace and Organization in Instagantt’s sidebar. They will be in the same order as they are in Asana. 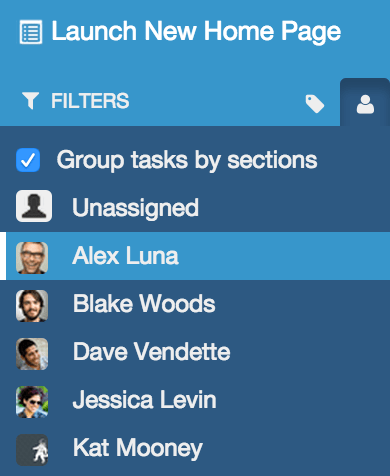 You can reorder them in Instagantt, but this won’t change the order in Asana. To view a project in Instagantt, start by selecting one of your projects from the sidebar in Instagantt. You will then see your project in Instagantt’s main pane. 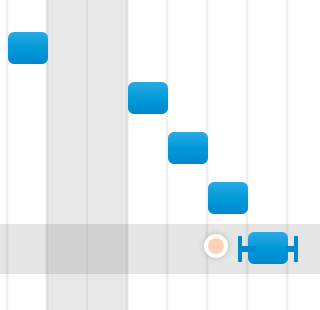 If tasks don’t have a due date they won’t show up in the chart, but you can easily add them by clicking wherever you’d like their bar to begin. 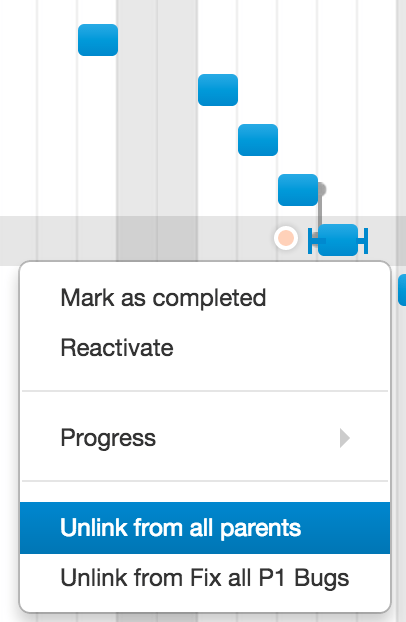 You can mark tasks complete directly from Instagantt and they will be marked complete in your project in Asana. The tasks that you checked will be marked as complete in your project in Asana. 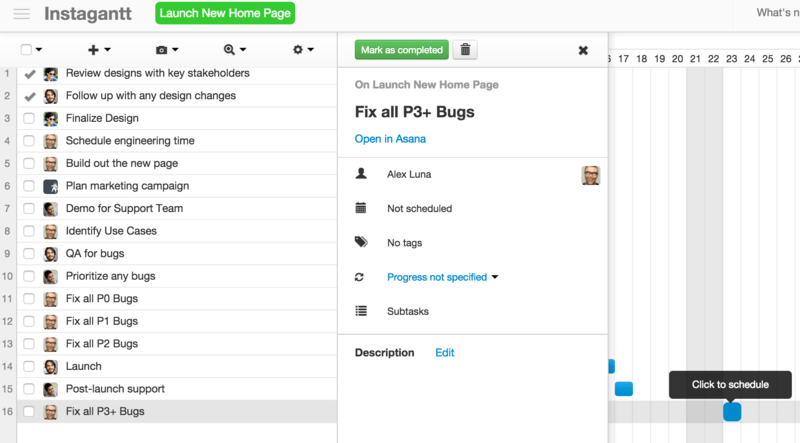 You can create tasks directly from Instagantt and they will appear in your project in Asana. To create a task in Instagantt, click the + sign at the top of the screen. 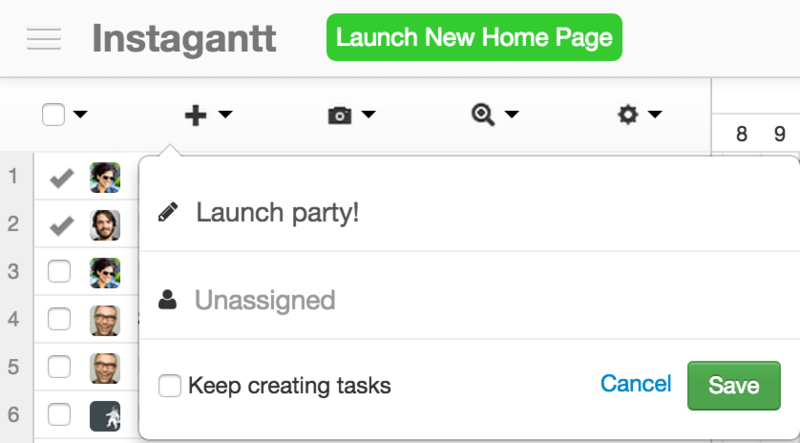 Instagantt’s app will allow you to set the task name and assignee. 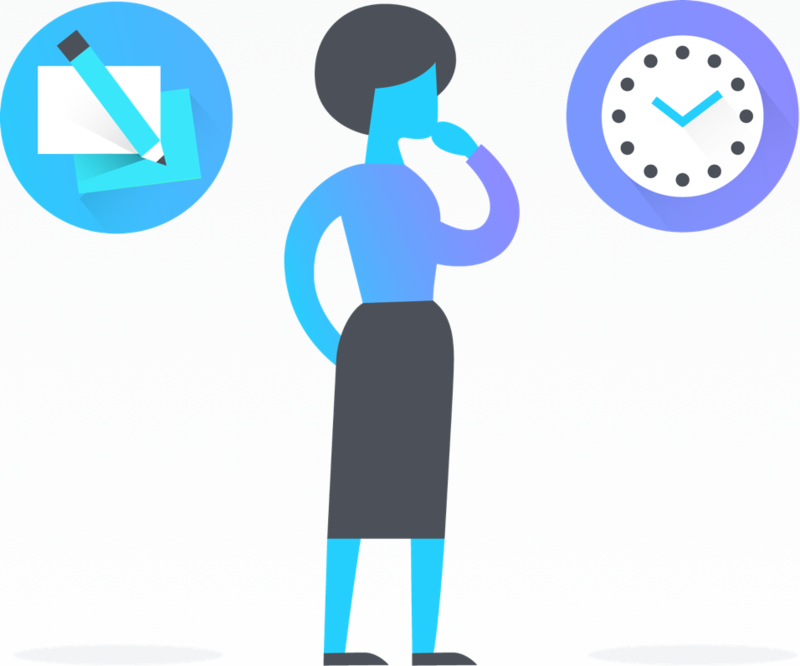 Once you click Save, the task will appear in both Instagantt and your project in Asana. You can view and edit a task’s details directly from Instagantt. 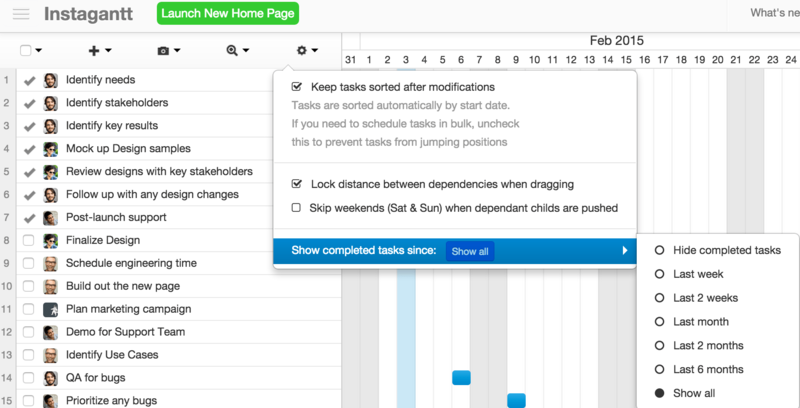 To view or edit a task’s details, select a task and it will open up the task’s details. 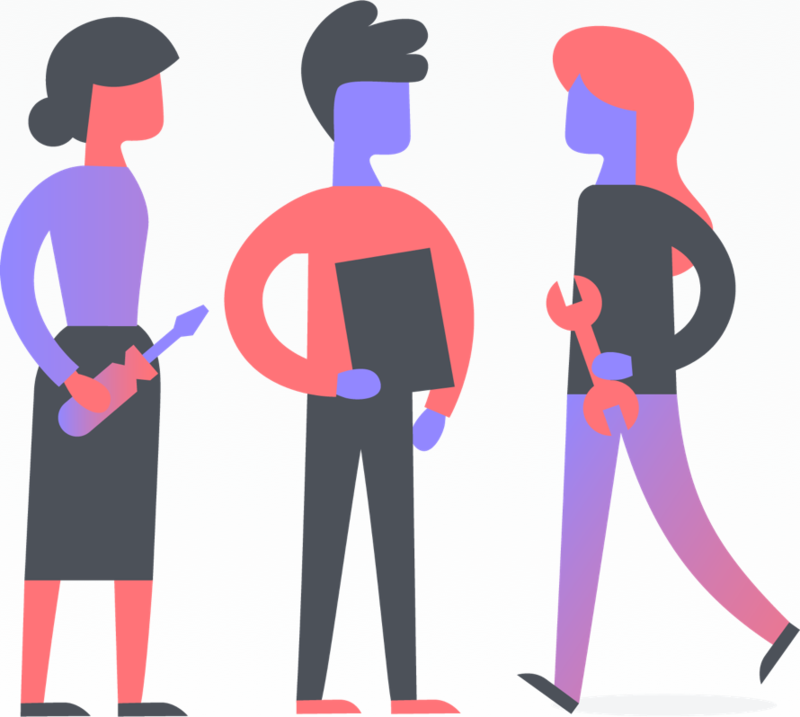 Any details you change in Instagantt will reflect in Asana. 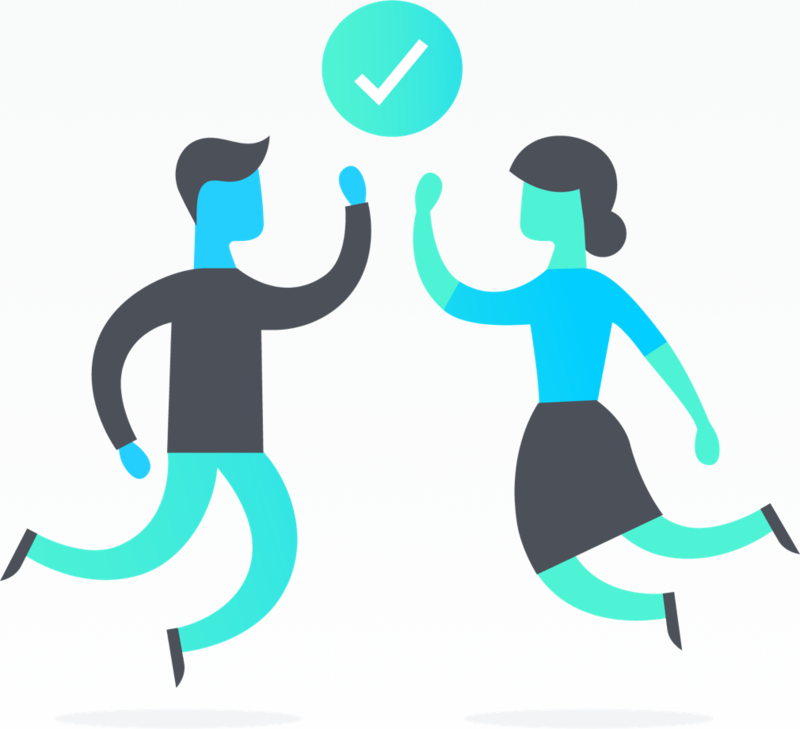 You can link tasks together to show one task’s dependency on another. 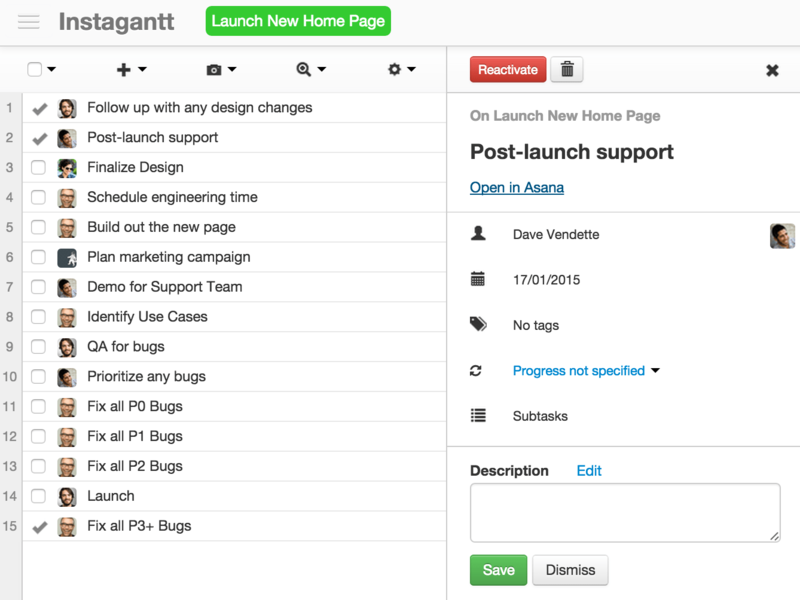 You can click and drag a task in Instagantt to change the start date and due date of any task. 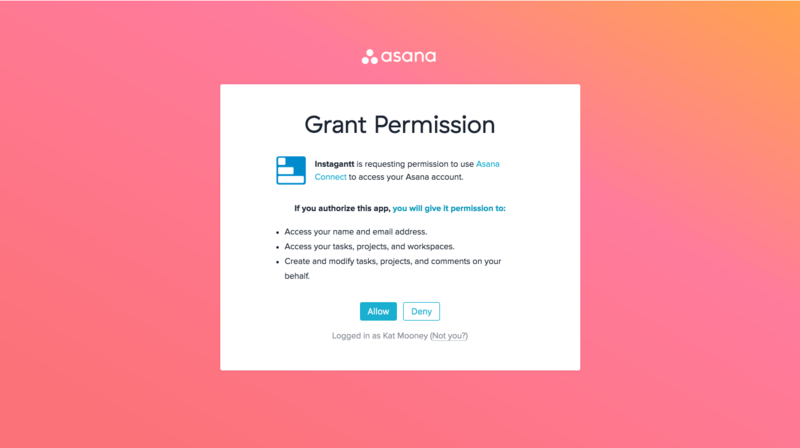 Learn more about start dates in Asana here. 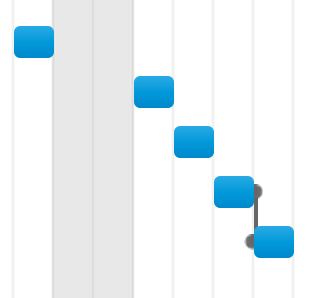 Drag the task to the left to change the start date or drag the task to the right to change the due date. 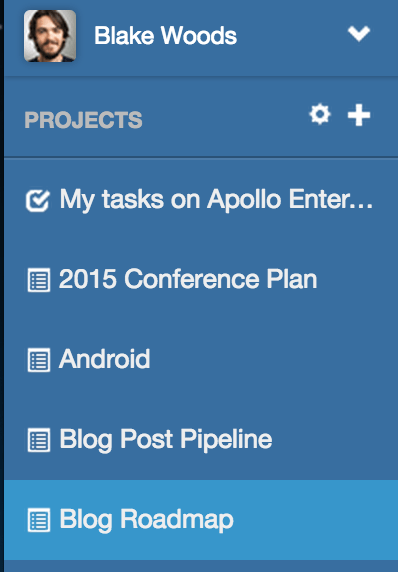 You can filter tasks in Instagantt by Sections, Tags, or assignee. You can access the filter options from the sidebar, right underneath the project’s name. You can show all tasks or hide completed tasks in Instagantt. 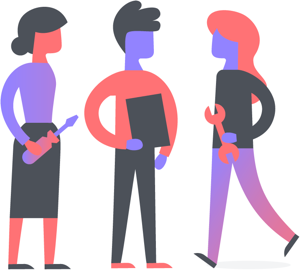 If changes were made in Asana and want them to reflect in Instagantt, click the project’s name in the sidebar to resync the projects. Still need help? Contact Instagantt by clicking Feedback and Support in the top right corner of Instagantt.